Segmental reinforced retaining walls were introduced to the construction industry in the 1980’s. Small blocks typically cover about 1 SF at the face and weigh about 90 – 110 lbs. This allows all the blocks to be laid by hand. 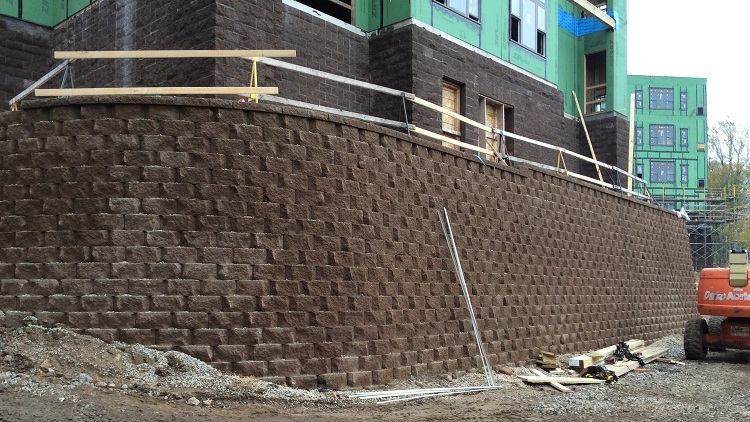 Small block walls are typically used as a cost effective solution to the needs for significant grade breaks and earth retention on a construction project. Walls can be designed to withstand the surcharge of a vehicular fire lane or even that of a multiple story building. The structural stability of these segmental retaining walls, comes form the geogrid reinforcement laid behind the blocks. The grids are locked into place by the blocks interlocking connection and the soil backfill that is compacted over the grids with the use of large compacting equipment. 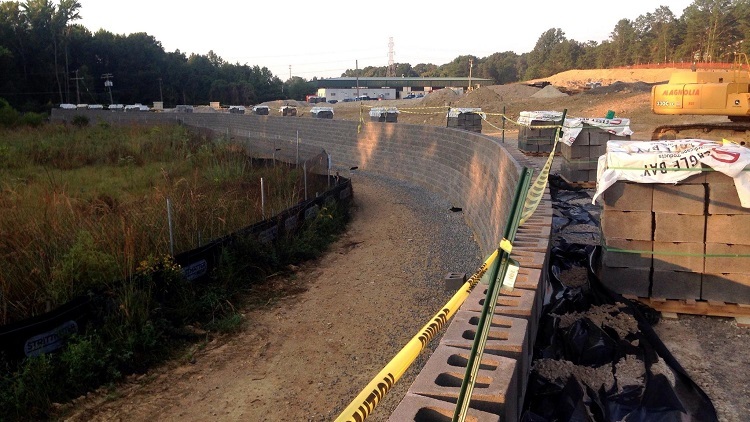 Structures relies on its engineering resources and knowlege to present the most economical retaining wall solution for any project. 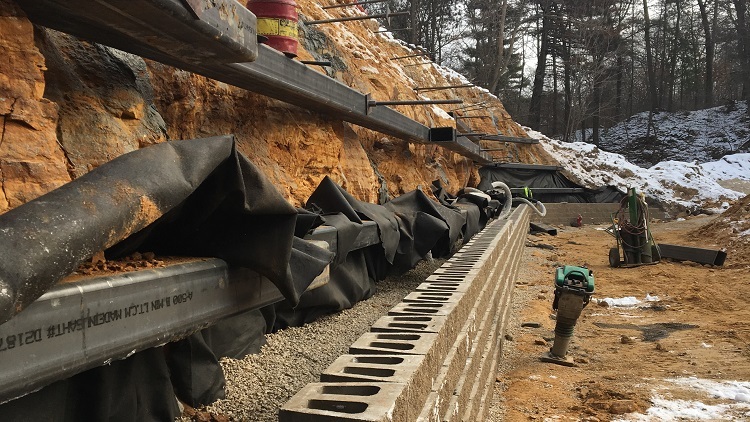 All of Structures retaining wall projects are reviewed by an engineering team before a proposal is put together to ensure all aspects of a specific project are covered.